Young people learn how to breathe in a way that they can use anywhere at anytime to help their bodies and minds relax. This lesson helps young people understand the link between their breathing and how they feel. 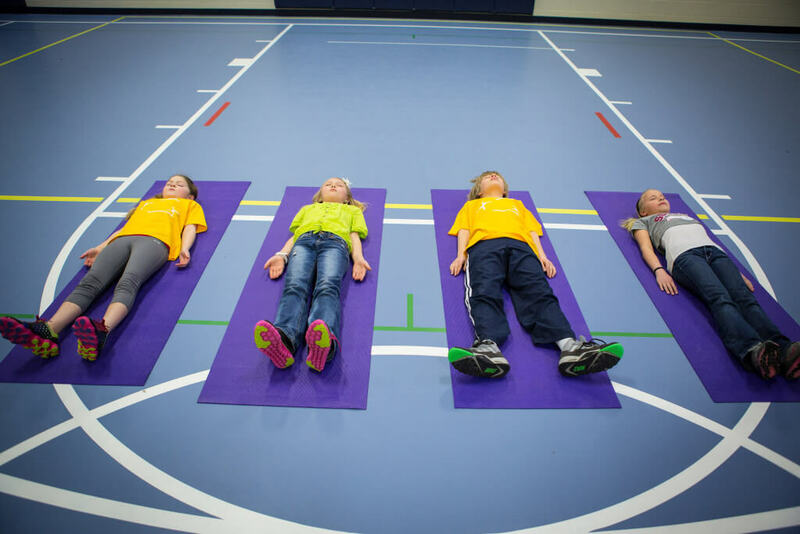 The youth will practice focused breathing techniques to help their bodies and minds relax. 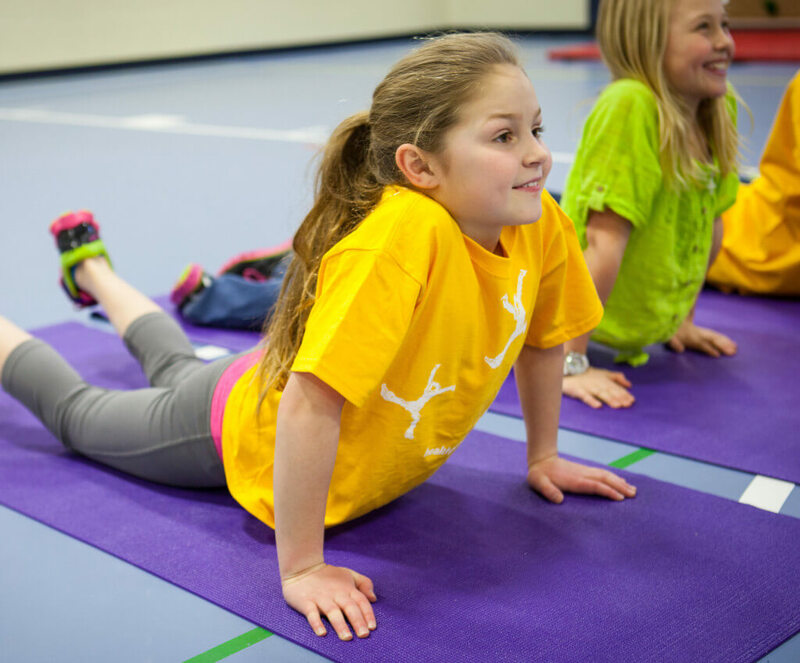 Optional activities allow young people to further explore mindful breathing. Before facilitating this lesson, you may want to review the following notes about mindful breathing. This information can be shared with young people during your discussions. How you breathe can make a difference in how you feel. When you are stressed, nervous, frightened, worried or angry, you may notice that your breathing gets low and fast. Your breath will come from higher up in your chest when you are upset. In calmer times, your breathing will be slower and deeper. Your breath will come more from your stomach and underneath your ribs. You can learn to slow down your breathing, making each breath longer and deeper. This will calm the rest of your body and your mind. If you practice doing this you can become good at staying calm or return to feeling calm quickly in very stressful situations. Our brains are inside our heads so our skulls can protect them. If we think (or believe) we can do something we are more likely to be able to do it. If we are worried or upset or unhappy our bodies might feel sick or tired or uncomfortable. If our bodies are sick or hurt or very tired it might make us feel unhappy or frustrated. Explain that breathing well is good for our bodies and can help us change negative things happening in our minds to more positive. In other words, we can learn ways to use our bodies to help us feel better in our minds. Ask the youth to get into a comfortable position. Explain that you are going to practice a type of breathing they can use any time they want or need to calm themselves down. Ask them to be quiet during the exercise. Then lead them through the following steps. For younger people you may want to simplify the instructions by jumping right to Step 2. Pay attention to your body. What are you feeling in your body? What are your different senses noticing: smells, sounds, sights, tastes? Are you comfortable? If you aren’t comfortable adjust your body so that you are. Notice what’s happening with your breathing? Is it fast? Slow? Moving through your nose or your mouth? Is there a noise when you breathe in or breathe out? Don’t try to change it…just notice. Practice a type of a breathing that can help ease your mind and calm your body: Begin breathing in through your nose and breathing out through your mouth. Breathe in twice as long as you breathe out (try counting to two as you breathe in and count to four as you breathe out). Keep breathing like this for several minutes. Now talk with the youth about the breathing they just did: What do you notice now after a few minutes of breathing like that? How do you feel? What do you see, smell, hear, taste? What is on your mind? What was that like to focus on your breathing? If time allows, try these breathing exercises with your class or group. Mindful Breathing: Breathing is an automatic reflex. You don’t even have to think about it–it just happens! But being aware of your breath can help you feel more relaxed. An easy way to be more mindful is thinking about when you smell your favorite scent. Smelling is actually taking in a deep breath on purpose. Ask the youth to close their eyes and imagine smelling their favorite scent. Have them breathe in for the count of two and breathe out for the count of four. Birthday Balloons and Candles: Sit with your legs crossed (feet flat on floor if you are sitting in a chair) and your back straight. Breathe in deeply through your nose, filling your lungs like a balloon. Imagine seeing your birthday cake with all of its bright candles. Blow them out by breathing out strongly through your mouth. Breathe In, Bubbles Out! : Take a deep breath in through your nose. Fill your lungs full of air! Hold your breath for 1 to 2 seconds. Put the bubble wand up by your mouth and blow! Repeat 3 to 5 times, trying to blow more bubbles each time. After the exercise, ask the youth where in their bodies do they feel the stress or anxiety being released. Remind young people that if they ever feel like they need to calm down, focused or mindful breathing is something they can do anywhere, at any time, and no one will even know that they are doing it. Hand out the Healthy Families Newsletter in English or Spanish, including additional mindful breathing activities, so that families can continue discussing ways to manage stress at home.